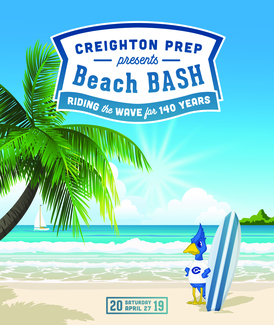 Each year, Creighton Prep relies heavily on student volunteers like you to help make BASH, our largest fundraiser, a success. BASH volunteer work is a fun and important way for you to contribute to Prep and be a Man for Others. Please review the list of student volunteer needs below then select "sign up" where you can provide help. If you sign up and work as scheduled, your name will be entered in a prize drawing to be held the week after BASH 2019. Prizes will include iTunes gift cards and cash. Volunteer instructions will be emailed to you on or before Wednesday, April 24.